Fall in love with this larger than life trio. 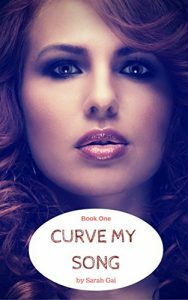 Follow the Curvies as they stumble through life, romance, drama and some plus sized laughs. Sassy full figured Bree carson loves her life, her singing and her two curvy best friends, the chubby Skyla and the always feisty Elise. But still she feels something is missing. Taylor Cole returns to his home town after leaving a decade ago. When Bree and Taylor are thrust together, old sparks from the past reignite. But can Taylor break through the walls securely built around Bree’s heart? Will Bree let him? So this is me in short. I'm plus size and completely adorable (or so my husbands tells me) A momma of three princes who light my world. I drink way too much coffee, chocolate is a staple. I love to write after midnight and my love for short stories will never fade. With such a limited amount of time to enjoy quiet writing, I have mastered the skills of fitting a lot into a small amount of pages. Humour keeps me smiling and well.. if you've read my books you'll know that I put a lot of myself into the characters. And to answer your questions. My best friends and I forgot the part about growing up and love every minute of it. Aside from writing I also run a publication IndieLove Magazine, promoting Indie Awesomes from a range of fields and professions. Check it out at www.indielovemagazine.com Love to all xo. Wanting to write for all the women out there who want a good short read about strong friendships, romance and body positive, love the skin you're in kind of fiction.